Christopher Funkhouser is a Professor and Director of the program in Communication and Media in the Department of Humanities at New Jersey Institute of Technology. He is a graduate of the University of Virginia (B.A., M.A), and received his Ph.D. from University at Albany. He attended and has also taught at Naropa University. He is author of Prehistoric Digital Poetry: An Archeology of Forms, 1959-1995 (Alabama, 2007), New Directions in Digital Poetry (Continuum, 2012), the chapbooks Electro Þerdix (Least Weasel, 2011), LambdaMOO_Sessions (Writer’s Forum, 2006), and an e-book (CD-ROM), Selections 2.0, published by the Faculty of Creative Multimedia at Multimedia University (Malaysia), where he was a Visiting Fulbright Scholar in 2006. His most recent major project, Funk’s SoundBox 2012, featured in the exhibition Chercher le Texte at Bibliothèque Nationale de France in 2013, interactively unites more than 400 recordings he produced during 2012. In 2009, the Associated Press commissioned Funkhouser to prepare digital poems for the occasion of Barack Obama’s inauguration. In 2010, he was University of Pennsylvania’s Center for Programs in Contemporary Writing Fellow in Poetics and Practice. 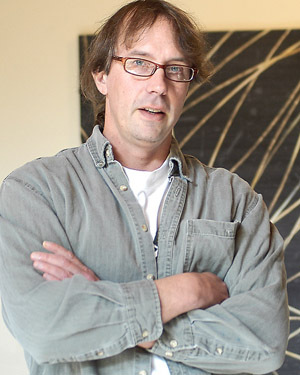 He is a Contributing Editor at PennSound, an Advisory Board member of University of Colorado’s Media Archaeology Lab, a member of the scientific review committee of the digital literature journal regards croisés (University of Paris 8), and the Academic Advisory Board of Cordite Poetry Review (Australia). He is on the Literary Advisory Board of the Electronic Literature Organization, the Advisory Board of the Digital Poetry Archive of Canada, and is an External Collaborator with Núcleo de Ciberteatro, Insituto Politécnico do Porto (Portugal). He was Digital Poet-in-Residence at Bowery Poetry Club (New York City).